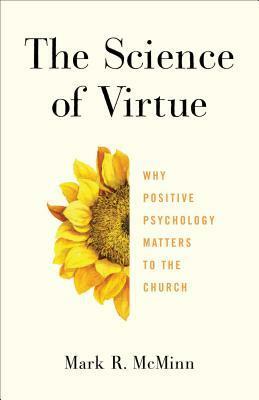 Each chapter looks at a "virtue" - but don't expect the classic list; they're more modern. I don't think he actually explains why he chose this list, but I suspect it's because they're aspects of positive psychology that have the most research and most easily overlap with values from (certain reads of) Christian scripture.In each chapter, he looks at what the psychological studies have to offer Christian understanding, what Christian understanding has to offer psychology, and what the "telos" of the virtue is. Spoiler: psychological studies offer "Christianity is good for your health through lower blood pressure..." and similar metrics; Christian understanding offers "we don't do this because it's good for our health, we do this because Jesus tells us to;" and the "telos" is Jesus. Ok, that's way oversimplified because I'm feeling snarky -- I just really wanted him to get into some of the debates. The way McMinn tells it, these are so delightfully compatible as to be obvious. Why did this book need to be written?Oh, right. Because of the giant contingent of Christians who (bafflingly) hate science and of the number of scientists who (often understandably) hate religion. I wish he'd given more voice to these stances and put them in conversation to show what *they* can learn from each other rather than the easiest middle grounds alone.Stopped reading at the opening of the chapter on "Humility" in which McMinn agrees with CSLewis that pride is the vice from which all other vices stem. Ugh. This is such a western patriarchal worldview and it oppresses people. But, fine, sure, include the chapter -- but follow it with a chapter on self-esteem, a virtue that positive psychology has long lauded, that has plenty of scriptural support, and that would actually challenge readers to rethink their categories of how science and religion meet. As it stands, this is a book for Christians to feel like science is just another way to support what they knew all along because Jesus/the Bible told them so. I thought this was an excellent book, gently but courageously pointing out the virtues that form the foundation of Christianity, and how we might step into them. So very necessary to us right now, as we seem to have forgotten the virtue of virtues entirely.